IT giant Infosys Technologies has announced that T.V. Mohandas Pai will resign as a board member and director-in-charge (HR). At Infosys, Pai was the Head â€“ Administration, Education and Research, Finacle, Human Resources, and Infosys Leadership Institute. Pai has requested the board to relieve him post the company's annual general meeting to be held on June 11, 2011. The board has appointed Ravi Venkatesan as the additional director with immediate effect. Venkatesan was the Chairman of Microsoft India until February 2011. He was responsible for Microsoft's marketing, operational and business development efforts in the country under his leadership from 2004-2011. Venkatesan will hold office till the AGM when his appointment as a director will be placed for the approval of the shareholders. In another development, K Dinesh, one of the co-founders and a board member, has also decided to retire after the AGM and would not seek a re-appointment. 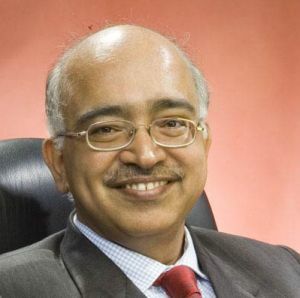 "Mohan has been an early adopter and a keen anchor builder of Infosys. It is difficult to imagine Infosys without Mohan's passion, commitment, joie-de-vivre and intellect. We all know that he is taking this painful decision, since he has much bigger projects in the horizon. 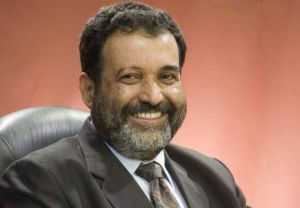 The board and every Infoscion thank Mohandas Pai for his wonderful contribution and wish him great success in his future endeavours," said N R Narayana Murthy, chairman and chief mentor, in a notice to the BSE. Pai had joined Infosys in 1994 and served as a member of the board since May, 2000. He was the chief financial officer (CFO) from 1994 to 2006. In 2006, he voluntarily demitted the office of CFO to lead efforts in the areas of human resources and education & research. Dinesh was the Director and Head, Communication Design Group, Information Systems and Quality and Productivity. "K Dinesh has been one of the co-founders and the company has turned to him whenever there were complex projects to be undertaken. He has handled his responsibilities with extraordinary diligence, quality and professionalism," said Murthy. A board meeting will be held on April 30 to finalise plans for the company's leadership succession, post Mr N. R. Narayana Murthy's retirement as chairman in August, 2011.